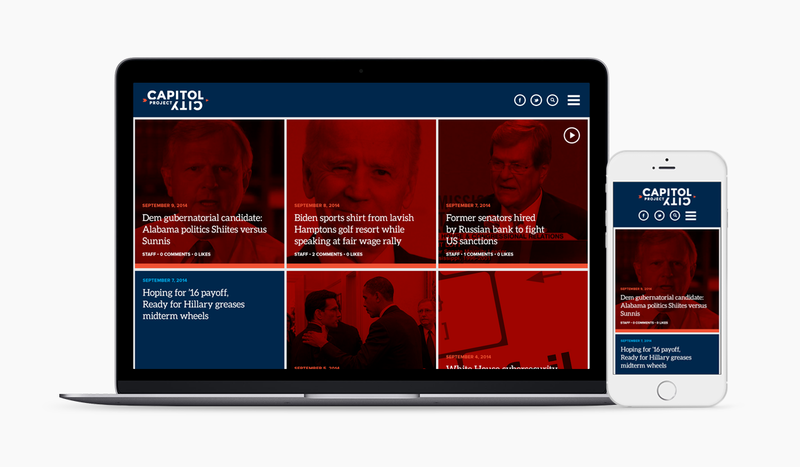 Capitol City Project is an editorial platform that functions as a non-partisan investigative news group. Capitol City Project conducts investigative reporting on media, political and cultural news. They work to expose the flow of political power within Washington D.C. regardless of party affiliation. The homepage serves as a hub for all content published on the site. The UI design is an interpretation of tabloid journalism passed through a filter of critical view. Leveraging the ideals of access and accountability—wall-to-wall headlines connect faces and actions. 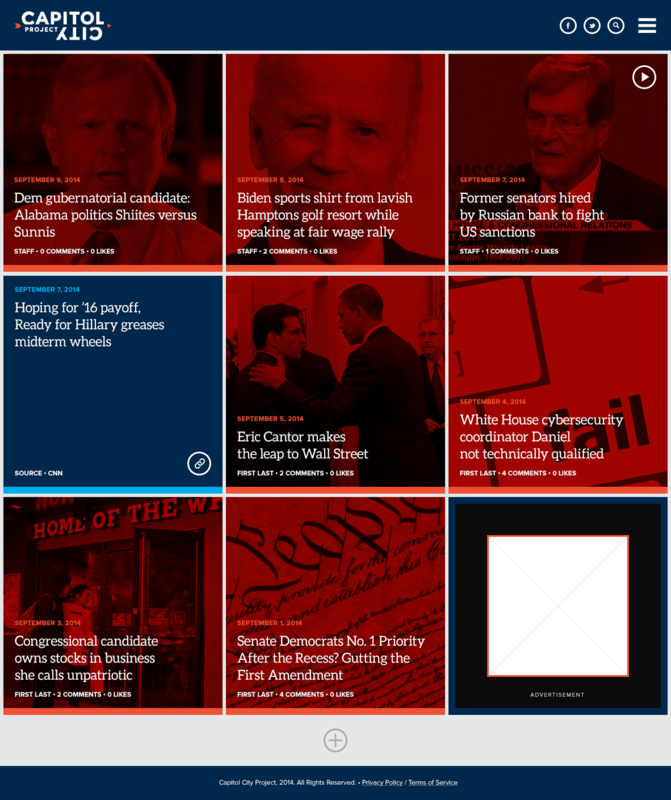 Color-veiled modules separate original content from curated content—red modules present original, investigative journalism and blue modules link to supporting content from mass media sources such as CNN. Content display reinforces user experience as access translates seamlessly to mobile devices. The intuitive presentation emphasizes immersive editorial content, employing continuous scroll to explore content. Individual story pages also place an emphasis on immersive editorial content. An additional function to the site, employs geo-location tagging for each story allowing users to follow, track and cross-reference stories across time and location. The two most recent stories are presented at the end of the story for continued reading and exploration.